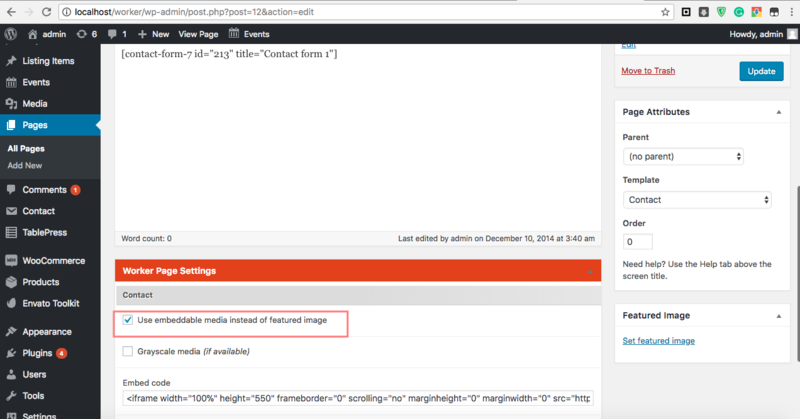 I can't find the section "Use embeddable media" in page "contact". There is no item to setup except the revolution slider. Here I have made a screen recording on how you can add/edit map in contact us page. Sorry once more. These options are defenitly not available on my site. I don't have the "Sport Page Settings" you have!! Is there a plugin missing or something else? i have checked page and it seems to me a conflict with another plugin. Try disabling your other plugins and that should help to identify the source of the conflict. Try the steps in the following , and then let us know the results of your tests? 2. If Issue Fixed, after following the steps above, it means there's an incompatibility somewhere. repeat steps #1-2 until you’ve reactivated all other plugins. now I did as as described. I think, I was able to insert the google data. Unfortunately I have the next problem now! Where to insert the API key? Can't find a filed for this so I get the message that the map can not displayed correctly. Does it have to be integrated into the "Embedded Code"? Hi Hina,sorry, I don't understand your info. There must be a way to integrate the code within the template. I already have a lot of trouble with the sports template. It seems that it is not working as shown in your video. I don't have the same buttons and options, everything looks different. I only installed the plugins used in your template. Something is absolutely wrong and I have no idea how to fix it and I need support on my site not on any other test site. Warning: The Envato Toolkit plugin is no longer supported and will stop functioning very shortly. Please delete the Envato Toolkit plugin and install the Envato Market plugin. Click here for more details. The Envato Toolkit is mandatory in your installation, but it is no longer supported because it is deprecated. I am at a loss. Maybe this is the key to all the issues. I would ask you to create a new page on my site. There are no Sport Page Settings available. I did many investigations without any result. Login data see below. as I have already written, a few posts down you can find the login information. In my investigations I found out that the template is not compatible with wordpress versions later than 4.7. I checked this on a seperate system using 4.7.12. In this environemt the template is working. I would have expected this result when your support checked my installation several weeks ago. I think the temlate can not be used if it is not working with the latest wp versions. When can we expect an update of the template? Please be so kind to give as information about this important key fact. At the moment, no further support is needed. Many Thanks! Yes I can see the issue there but would like you to know that it is compatible with upto 4.9 and in recent version of wordpress they have make gutenburg editor official which may cause an issue with settings. I have already forward it to dev team and they will release a fix within few days to fix gutenburg issue. can you give me some information about the compatibility of the theme "Sport"? In January you told me that there will be a fix available in a few days. I have never heard something about this issue. Now we are short before golive with our page and want to use Wordpress 5.1, but we are not sure, doing the update. Please give me info about to use WP 5.1. I have contacted author and according to dev they will release fix end of this week and will be available once envato approved for update/release.